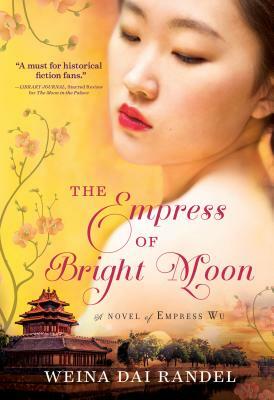 In the captivating sequel to The Moon in the Palace, Mei must protect her people from a murderous empress to realize her destiny as the most powerful woman in China. At the moment of the Emperor's death, everything changes in the palace. Mei, his former concubine, is free, and Pheasant, the heir and Mei's lover, is proclaimed as the new Emperor, heralding a new era in China. But just when Mei believes she's closer to her dream, Pheasant's chief wife, Lady Wang, powerful and unpredictable, turns against Mei and takes unthinkable measures to stop her. The power struggle that ensues will determine Mei's fate-and that of China. Surrounded by enemies within the palace that she calls home, Mei continues her journey to the throne in The Empress of Bright Moon, the second book in Weina Dai Randel's acclaimed duology. Only by fighting back against those who wish her harm will Mei be able to realize her destiny as the most powerful woman in China.